LEWINSKI is the powerful 5yo Sprinting mare with 2 x Sydney Provincial wins over 1000m and 5 placings from 1000m to 1200m with earnings to date of $66,155. She is an eye catching individual with a big finish who is looking for a change in scenery to get back in the winners stall. After racing Lewinski does possess an enticing pedigree suited as a Broodmare, with her quality physique likely to produce standout types. OLYMPUS (AUS) (2000). 2 wins-1 at 2-at 1100m, 1600m, A$75,090, STC Michael Hansell Signs H., AJC Crowne Plaza H., 3d Illawarra 2YO Classic, L, AJC Club Zebra H., NSW Tatt's RC Marriott Hotels Australia P.H., 4th STC Skyline S., Gr.3. Sire. Half-brother to VIEW THE STARS (WATC JC Roberts S., L, 3d WATC Fairetha S., L) and to the dam of SHEES FLAWLESS and Queen of Wands. Sire of 84 rnrs, 42 wnrs, inc. One Touch, My Little Beauty, Stylish Lad, Turnley, Olinoor, etc. Sire of the dams of. Lewinski (f. by Olympus). 2 wins. See below. Mr Costigan (g. by Harbour Watch). Placed at 3 in 2018-19 in Aust. Morosi. 5 wins. See above. Legendary Luke. 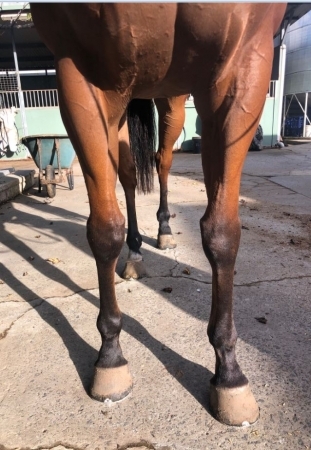 4 wins at 1200m, 1400m, A$122,965, GCTC Origin Jockey Series H., 3d Clarence River JC NRRA Country Championships Qualifier, BRC Cardno P., Bank of Qld Wynnum H., Walking on Sunshine Foundation H., Brc.com.au H., CBUS Super H.
The Intern. 3 wins at 1000m, 1200m to 2018-19 in Aust. Alittlebitofduey. 4 wins to 1450m in Aust. Suffragette. Winner at 1100m in Aust. Von Brochwitz. Winner at 1200m in Aust. EMISSION (Forest Glow). 7 wins from 1100m to 1800m, A$505,200, BTC Sprint H., Gr.3, Kilmore Cup, L, VATC International Exchange Race Day H., VRC Chadstone Fashion P., 2d VRC Emirates S., Gr.1, Blamey S., Gr.2, MVRC Country Cup, 3d AJC Queen Elizabeth S., Gr.1, VRC LKS Mackinnon S., Gr.1, STC Ajax S., Gr.3, 4th VRC Emirates S., Gr.1, PFD Food Services S., L.
Wannon Warrior. 3 wins at 1200m, 1300m, 3d VRC JDRF Australia H., MVRC 1print H.
Sassy Bay. 5 wins from 1200m to 1600m, A$100,465, MVRC Production Resource Group H., MRC Le Pine Funerals H., 3d MVRC Tibaldi Flavior H.
Gee Gee Bay Watch. 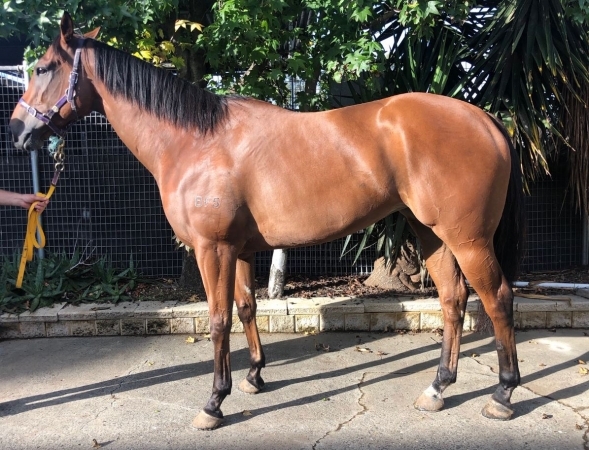 Winner at 2 in 2018-19, TRC Alexandra 2YO P.
Asquillion. 5 wins from 1200m to 2100m to 2018-19 in Aust. Elsaray. 5 wins from 1400m to 1700m to 2017-18, Ipswich TC Grandview Stud H., 3d MRC Moorookyle Park Stud P., Ipswich TC Book Xmas Luncheon H.
Manzano. 2 wins at 1650m, 2050m, BRC Hidden Dragon at Lyndhurst P., Sky Racing H., 2d BRC Battery World Brisbane Bloodstock Bonus 2YO H.
Rocket Dancer. 3 wins at 2m, 2½m, 2d Curragh Boyne H., Dundalk Carroll H. Hurdle. RORY'S JESTER (Crown Jester). Head of The 1984-85 Australasian 2YO Classification. 7 wins-5 at 2-to 1200m, A$504,650, STC Golden Slipper S., Gr.1, SAJC RN Irwin S., Gr.2, VRC Black Douglas S., Gr.3, STC Pago Pago S., Gr.3, WATC Supremacy S., L, SAJC Classic Mission H., 2d VRC Lightning S., Gr.2, MVRC AJ Moir S., Gr.2, WATC Karrakatta P., Gr.2, VRC Dalgety Bloodstock S.H., L, Rupert Steele S., L, WATC NJ Way S., L. Successful sire. VILLA VERDE (Not a Single Doubt). Joint Top Filly of 2013-14 Australasian 3YO Classification (Sprint). 3 wins-2 at 2-at 1000m, A$653,950, ATC Challenge S., Gr.2, VRC 7news P., L, MRC Debutant S., L, 2d ATC Reisling S., Gr.2, MRC Nine West P., 3d ATC Galaxy H., Gr.1, 4th VRC Coolmore Stud S., Gr.1, SAJC Robert Sangster Classic, Gr.1. PRETTY FAST (Not a Single Doubt). 4 wins at 1200m, A$201,735, in 2017-18, BRC Mode P., L, ATC Owners Benefit Card H.
WAY OFF (Way of Light). Winner at 2, A$82,200, QTC JF Meynink S., L, 2d Toowoomba TC Magic Millions 2YO P. Sire. HA HA (Danehill). Champion 2YO & 3YO filly in Australia in 2000-01 & 2001-02. 8 wins-3 at 2-from 1100m to 1600m, A$2,989,465, STC Golden Slipper S., Gr.1, AJC Flight S., Gr.1, Apollo S., Gr.2, Silver Shadow S., Gr.2, STC Tea Rose S., Gr.2, Sweet Embrace S., Gr.3, GCTC Magic Millions 3YO Trophy, RL, 2d VATC Thousand Guineas, Gr.1, STC Silver Slipper S., Gr.2, AJC Kindergarten S., Gr.3, 3d AJC Sires' Produce S., Gr.1, NSW Tatt's RC Furious S., Gr.3. Producer. DRY HUMOUR (Danehill). 7 wins to 1400m, A$258,260, SCTC Glasshouse H., L, 2d VATC Autumn S., Gr.3. GO INDY GO (Bernardini). 2 wins at 2, A$420,450, ATC Champagne S., Gr.1, SAJC Sires' Produce S., Gr.3, 2d SAJC Breeders' S., Gr.3, Cinderella S., L, 3d MVRC Dilmah Vase, Gr.2, MRC Thousand Guineas Prelude, Gr.2. ESSAY RAIDER (Bernardini). 6 wins to 1200m, A$372,105, SAJC DC McKay S., Gr.3, 2d SAJC Centrebet Classic, Gr.2, VRC Standish H., Gr.3, SAJC City of Marion S., L.
SOUTHERN SPEED (Southern Image). 7 wins from 1050m to 2400m, A$2,810,250, MRC Caulfield Cup, Gr.1, VRC Makybe Diva S., Gr.2, Vanity S., Gr.3, MRC John Dillon S., L, SAJC Penny Edition S., L, Holdfast 65 Plus H., 2d VRC Australian Cup, Gr.1, MRC CF Orr S., Gr.1, Underwood S., Gr.1, SAJC Auraria S., Gr.3, 3d SAJC Schweppes Oaks, Gr.1, Spring S., Gr.3. Producer. MISS GAI FLYER (Flying Spur). 4 wins-2 at 2-at 1100m, 1200m, A$253,488, MRC Kevin Hayes S., L, 2d WATC Karrakatta P., Gr.2. Producer. PEPINELLO (Crown Jester). 3 wins at 1200m, 1600m, WATC Belgravia S., L, Perth Royal Show H.
2 wins at 1000m to 2017-18 in Aust. 09/Nov/2015 4th of 8 --trial--ATC Barrier Trial, 810m. Serena's Pride was 1st and Hostwin Power 2nd and Best of Pluck 3rd. 19/Nov/2015 1st of 5 --trial--ATC Barrier Trial, 804m. Best of Pluck was 2nd and Kiawanda 3rd. 04/Dec/2015 2nd of 6 --trial--ATC Barrier Trial, 796m. Midnight Rose was 1st and Margie 'n' Me 3rd. 22/Mar/2016 2nd of 9 --trial--ATC Barrier Trial, 810m. Saskia Rose was 1st and Bukzel 3rd. 23/Sep/2016 1st of 10 --trial--ATC Barrier Trial, 791m. Once More a Lady was 2nd and Evanesce 3rd. 07/Oct/2016 1st of 8 --trial--ATC Barrier Trial, 803m. Snitz it Up was 2nd and Saint Helena 3rd. 15/Jun/2017 2nd of 8 --trial--ATC Barrier Trial, 791m. Huleo was 1st and Dream Genie 3rd. 30/Jun/2017 2nd of 8 --trial--ATC Barrier Trial, 804m. Twice as Sweet was 1st and Dynamic Bid 3rd. 04/Jan/2018 6th of 8 --trial--ATC Barrier Trial, 804m. Our Crown Mistress was 1st and Once More a Lady 2nd and No Interest 3rd. 15/Jan/2018 5th of 9 --trial--ATC Barrier Trial, 800m. Mana was 1st and Reiby Rampart 2nd and Memes 3rd. 09/Apr/2018 10th of 10 --trial--ATC Barrier Trial, 807m. Handfast was 1st and Smart As 2nd and Lipizzan 3rd. 27/Dec/2018 6th of 7 --trial--ATC Barrier Trial, 807m. The Drake was 1st and Military Academy 2nd and Sepoy Acheva 3rd.